We produce products hand made in Nepal. We offer wide range of ethnic and modern hand-prints with bold colour combinations. Our Products include: Bed Covers/Sheets, Cushions Covers, etc. 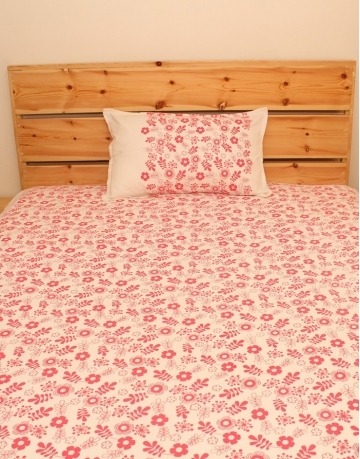 Set Content: 1 bed cover & 1 pillow cover Size: Single Pattern: Print: Hand printed Feature: Fla..